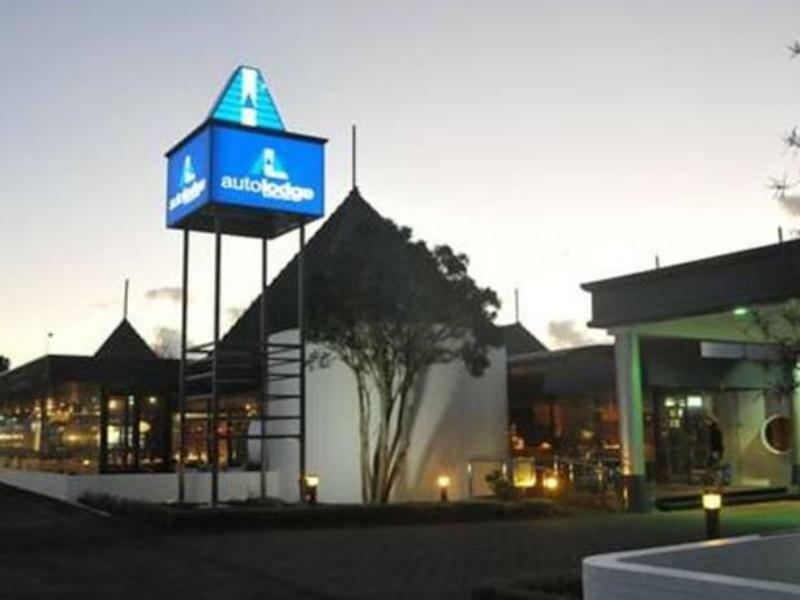 إذا كنت تبحث عن فندق بموقع جيد في نيو بليماوث، فقد وجدت ضالتك في Auto Lodge Motor Inn . يمكن من هنا للضيوف الاستمتاع بسهولة الوصول إلى كل ما تقدمه هذه المدينة النابضة بالحياة. يوفر الفندق بفضل موقعة الجيد وصولاً سهلاً إلى أهم معالم المدينة.
. إن الخدمات التي يقدمها Auto Lodge Motor Inn تضمن للنزلاء إقامة مريحة. يمكن للنزلاء الاستمتاع بالميزات التالية: واي فاي مجاني في جميع الغرف, تخزين الأمتعة, واي فاي في المناطق العامة, صف السيارات, خدمة الغرف أثناء إقامتهم في هذا المكان الرائع. بالإضافة لهذا,تتضمن كل غرف الضيوف مجموعة واسعة من وسائل الراحة . بعض الغرف توفر حتى تلفزيون بشاشة مسطحة, اتصال لاسلكي بشبكة الإنترنت (مجاني), غرف لغير المدخنين, مكيف هواء, تدفئة لإرضاء أكثر الضيوف تطلباً. يقدم الفندق العديد من الفرص للاستجمام كمثل حوض استحمام ساخن, مسار جولف - ضمن 3 كم, حمام سباحة داخلي, سبا, بلياردو. إن Auto Lodge Motor Inn هو خيارك لخدمة الفنادق الراقية في نيو بليماوث. Lovely spot to stay a couple days. They advertise spa pool/ hot tub/ heated pool. They all looked like you’d catch a flesh eating disease if you went in them. Super gross and not nice. Otherwise not bad but we were bummed we couldn’t use those. Vertical blinds are terrible be ready for an early morning wake up with the sun. Awesome location though, 5 minute walk down to the beach. Restaurant meals don’t come with Vegas or salad, have to order these as an extra, makes it expensive for a family. The location has been excellent for the purpose of the stay. I realized too late that I could have asked for a microwave and toaster but we made due. The only real negative comment I have is, no recycling opportunities available! Everything has to go into the rubbish! I didn't like this at all and decided to take my recycling home. Otherwise, I enjoyed my stay. Missed being able to make toast in the morning and no clean teaspoons left one day. I really thought I was booking a Motel accommodation but I do not have any major complaints. Swimming Pool was great. The blinds fell apart when I closed them, I put them back together only to have them fall apart again when I opened them. The ranchslider leading out to the balcony had to be forced open and was extremely noisy when it was being opened. There was a big patch on the ceiling where it must've had some repair work done, they hadn't even painted over it. There was a hole in the sheets. The shower had to be turned to full on hot just to have a warm shower. There was some tiles missing in the bathroom and some stains on the carpet. It is the worse place I have ever stayed at and I will never be returning nor would I recommend it to anyone. The water never made it past luke warm in the shower. He bed was so bendy and worn out it was like sleeping in a roll together banana. The wallpaper was peeling off the wall. We had to put up with a drunken vomiter and really loud guests in the early hours. Not a great stay. The whole family enjoyed the stay, plenty to do for the kids. 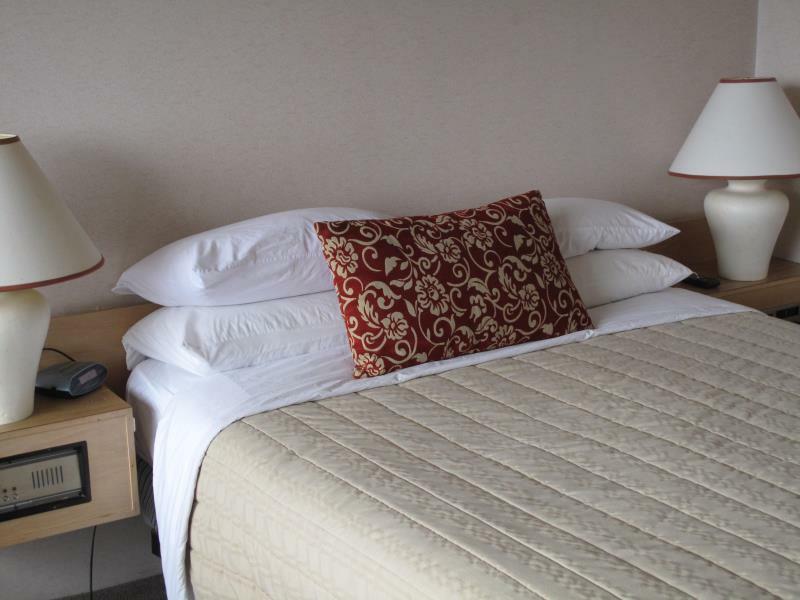 Facilities are clean, well presented and staff were very helpful and friendly. The hotel restaurant had great food the whole family enjoyed, we cannot wait to go back there on our next trip to new Plymouth. 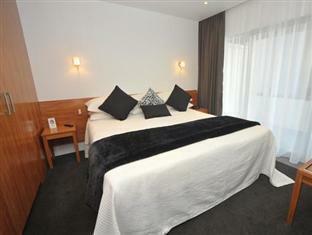 The Auto Lodge was in a excellent location, not central but easy walk in to the CBD and to the gardens. We didn't use the pool but it looked nice. The reception staff on arrival and check out were very pleasant and helpful. The room was a little dated and not air-conditioned but was perfectly serviceable. The cleaning team did seem harassed and we decided not to have our room made up as they seem so anxious to be away. 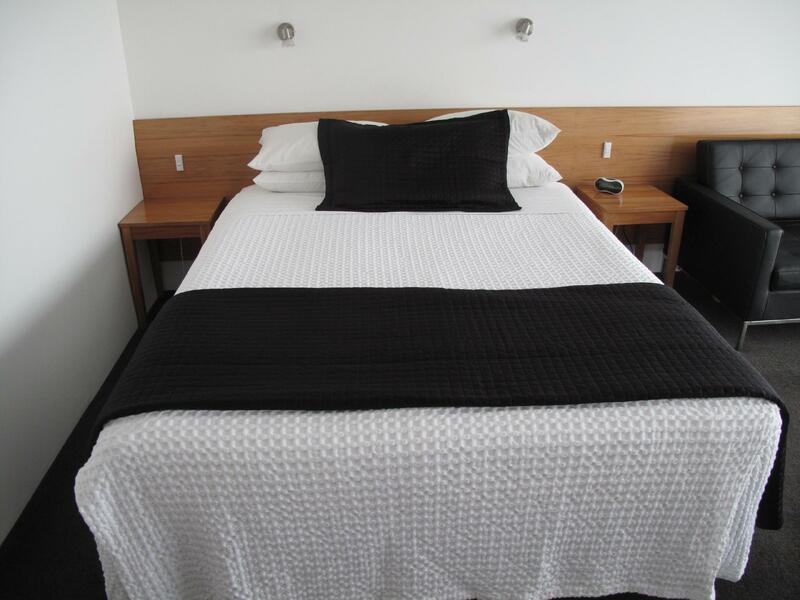 The main queen bed was very soft and bouncy and not to our taste, when one person moved the other person felt that they were on a boat or waterbed. On our last night we had some very noisey neighbours and the reception staff were not responsive to our request to intervene and ask them to keep the noise down and to investigate the angry voices we heard between the noise makers and other residents. We would stay there again but really can't see us going to New Plymouth again. We stayed here with our 2 children (4 and 1) in a Standard Studio which was clean and spacious enough for the 4 of us. The staff were friendly and helpful, the central location is handy, and the facilities - especially the pool and spa which our kids LOVED - make this the most value for money option for accommodation. We will definitely be back! Stayed here a couple of times and found it a reasonable place to stay for a couple of nights without busting the budget. Room was older and a bit worn but that was reflected in the price and renovated rooms were available at extra cost. Overall...cheap and cheerful. It had heated indoor pool, and spa. The room was roomy and can fit 3 adults easily, ground coffee & plunger was provided, it had comfortable feather pillows, and being on 1st floor, we had good view of all the hotel, and can watch patrons taking their dogs for a walk. There was plum tree next to restaurant which was dropping lovely sweet and juicy plums on the ground, great to eat while fresh. 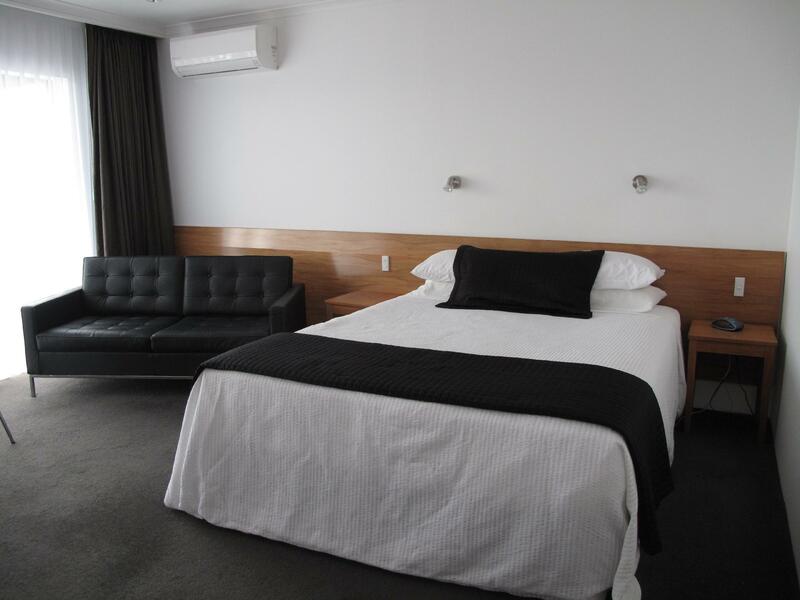 The stay has left great impression of New Plymouth. The blind definitely needs replacing in room 71 and toilet door don't close properly, no where to put soap by wash basin and window was dirty. We stayed 2 night in standard studio, comfortable room.